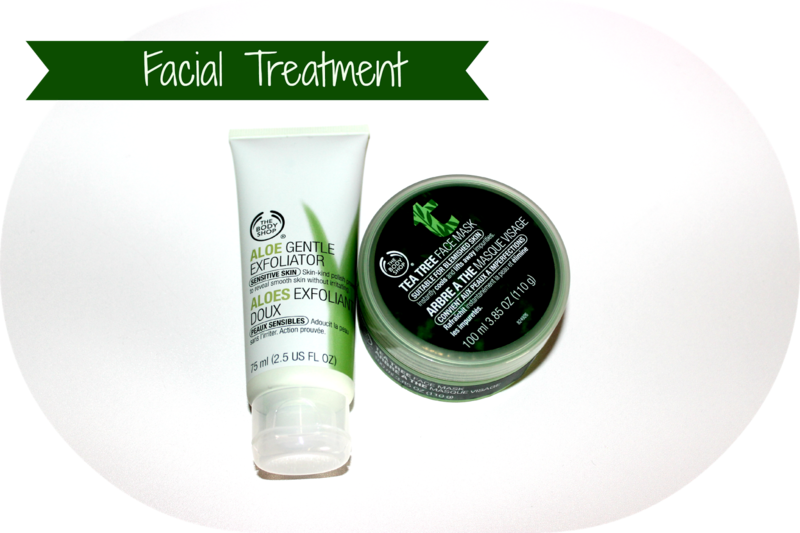 Last week I bought myself a little facial treatment from The Body Shop. It was actually the first time that I bought something from there, but I’ve heard so many good reviews that I had to try it myself! Lately I’ve had a few breakouts here and there, probably caused by stress, so I really wanted to take better care of my skin, and most importantly prevent these breakouts from happening. Therefor I decided on buying a tea tree facial mask, which will cool down the skin and reduce the blemishes on your face. Since we all need to exfoliate, I bought an aloë vera exfoliator as well, which smells delicious! I am very excited to try both of them out, and I hope that they will work for me! During my visit to The Body Shop I’ve seen some interesting products I will definitely try out the next time!